This post is a long time coming. At least 36 weeks of #omsantorinisaturdays leading up to it. Well it’s finally here and I’m excited to share more than photos, although there will be many of those too! Planning a visit? Going back for more than a few short hours of stopping over on a cruise? Well I’m sharing a few of the highlights of our trip and some tips so that you don’t miss a thing while you visit! Santorini is like a dream. Not a dream vacation, although that can also be true, a dream. It’s one of those places that actually lived up to my expectations — as lofty as they were. Many of us have seen celebrities or famous Instagrammers winding through it’s streets, prancing on the beaches or posing overlooking the azure ocean. But did we think we could actually get there? If you make the trek you won’t be disappointed. But if time and a budget are constraints, you can still get the max out of your experience. Here are some tips. Santorini’s main towns Oia and Fira aren’t incredibly large, but there are so many nooks that you can get turned around. We always found that there was something we missed and there was always something new to discover. Pro tip: the sun sets in the West. So just head to the West which is the ocean side of those two towns if you get too turned around. Sunsets are a big deal on the island. You will understand why when you get there!! They are absolutely breathtaking. People plan their day around that sunset and crowds of people storm the cliff edged restaurants to get the perfect spot to see the show. If you want to enjoy them over dinner definitely reserve in advance or get there early. We went off season or at least at the very end of high season and there were still crowds of people. 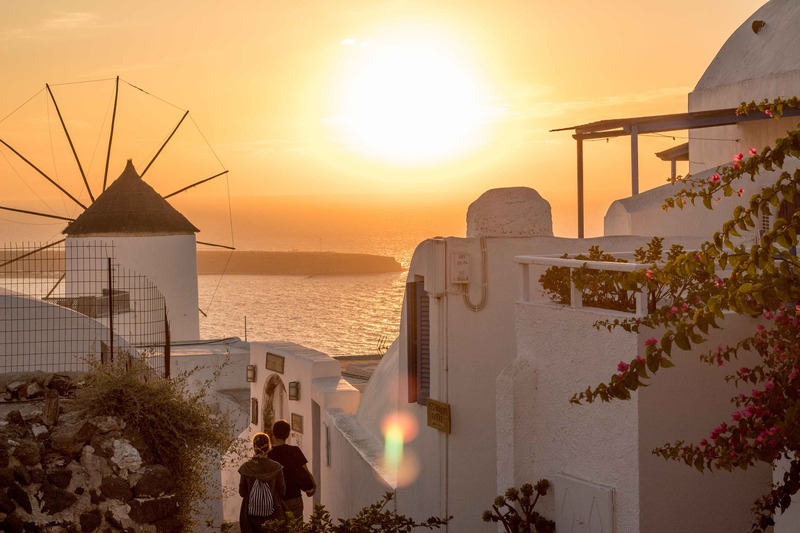 Their are many ledges to lean on and watch the beautiful sunset so don’t despair if you dont get a seat at a restaurant, but find your ledge spot early because the crowds come early to watch the majestic sunsets of Santorini. 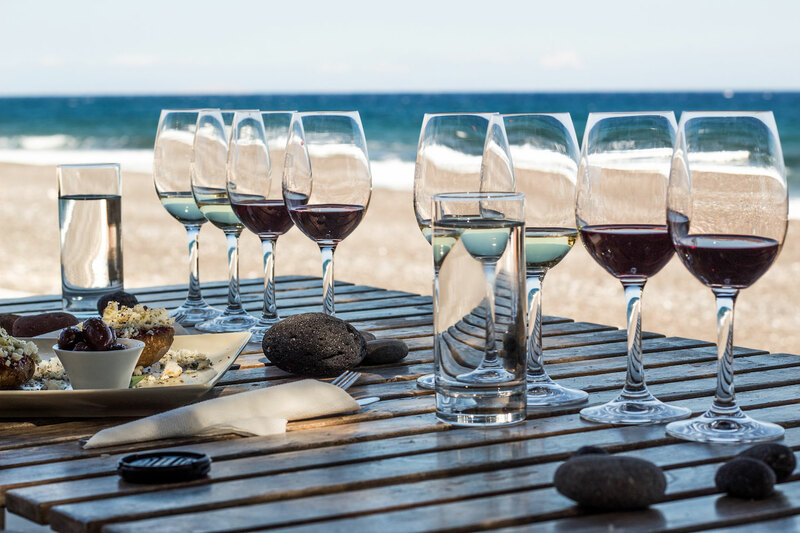 Santorini is famous for many things and surprisingly wine is one of those things. We loved visiting some of the wineries so much we dedicated a whole post to just that. They also have at least two local beers that you must taste while on the island if you are a beer fan - which I am. 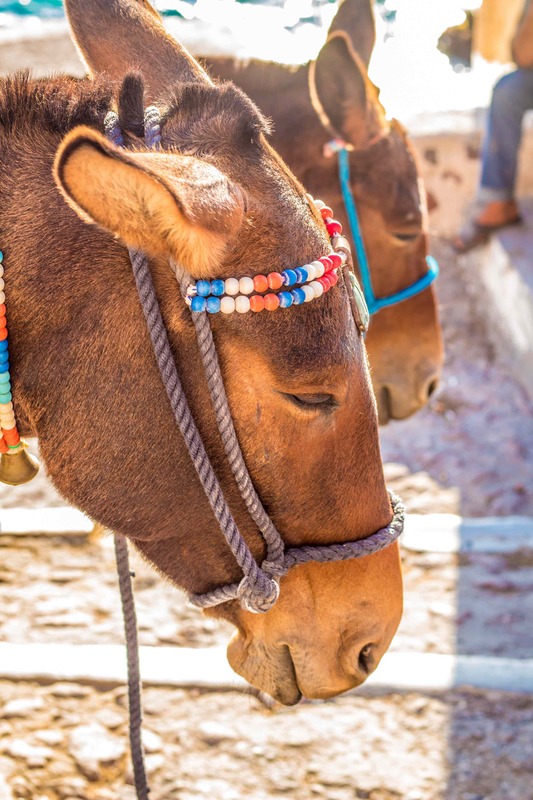 Santorini Brewing Company is home to the in-demand Donkey beers. You get free tastings plus souvenir merchandise when visiting. 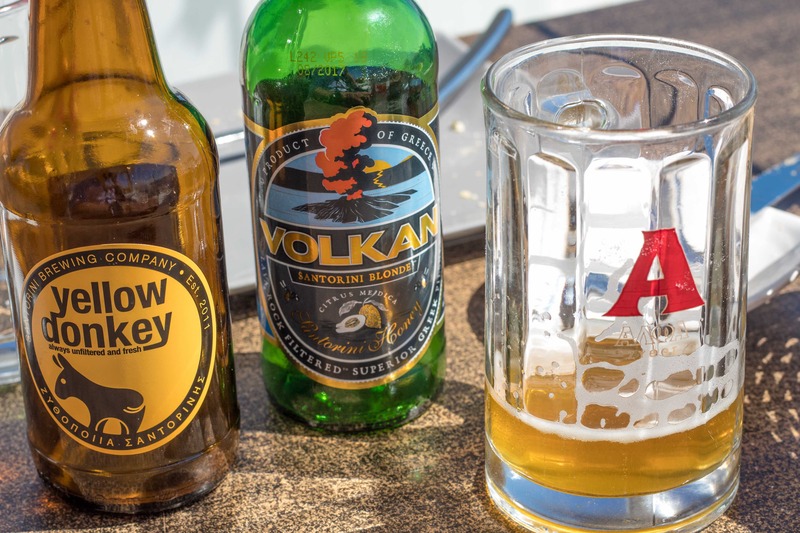 Volkan beer is another beer/beers you must try — my personal favourite. Loved all of the varieties I had of the Volkan beers. Although they weren’t brewing on the island at the time we were there, they were planning on it in the near future. The raw ingredients to make the beer including the unique and beautiful honey are all from Santorini and the nearby island Naxos. This most definitely depends on your budget. Well our budget was blown cause of being in London before we hit Greece. Hee hee! Yes don’t even get me started on London!! Loved it but literally walked miles cause I hated paying double and triple tube fees cause I couldn’t get their zones straight!! We stayed at Caveland which is an awesome hostel! We had a private room and bathroom including a kitchenette. We loved it. You can use the shared kitchen and even grab a little continental breakfast in the morning if you want to. They had a lot of activities planned — optional to join. We booked based on its great reviews, price point obviously, but also the location. 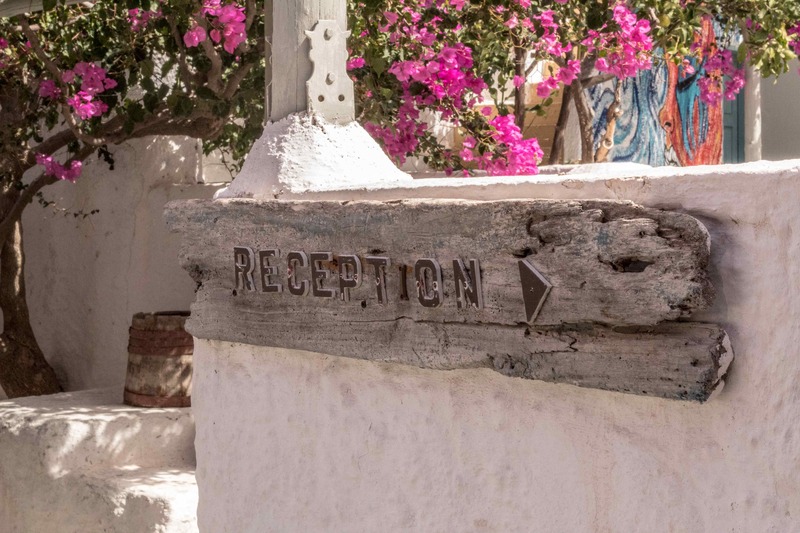 It’s a ten minute walk to Fira, a few minute walk to several grocery stores, bakeries, restaurants, bank machines, as well as offices to book excursions and to rent a car or ATV’s. The bus stop was just a few minutes walk away. The airport was nearby as well, approximately 10-15 minute drive. We loved the convenience of it and also the fact that it was away from the crowds, but still just minutes away from all the action. 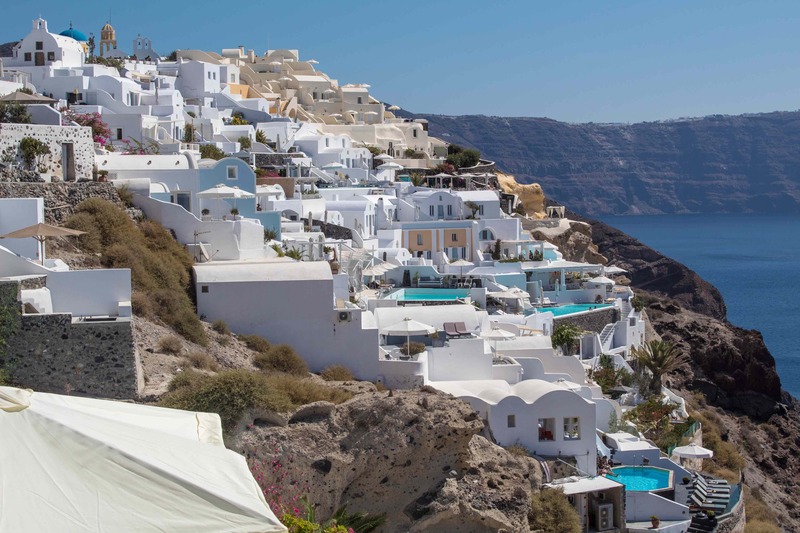 Fira and Oia are the most popular places to book the boutique hotels that you see in adds/Instagram and classic pictures of Santorini. They are stunning themselves and even more alluring since they all have breathtaking caldera views! The prices can be just as breathtaking though so do some research and definitely book in advance if you plan on going during high season which starts right about now (June) until the end of September. 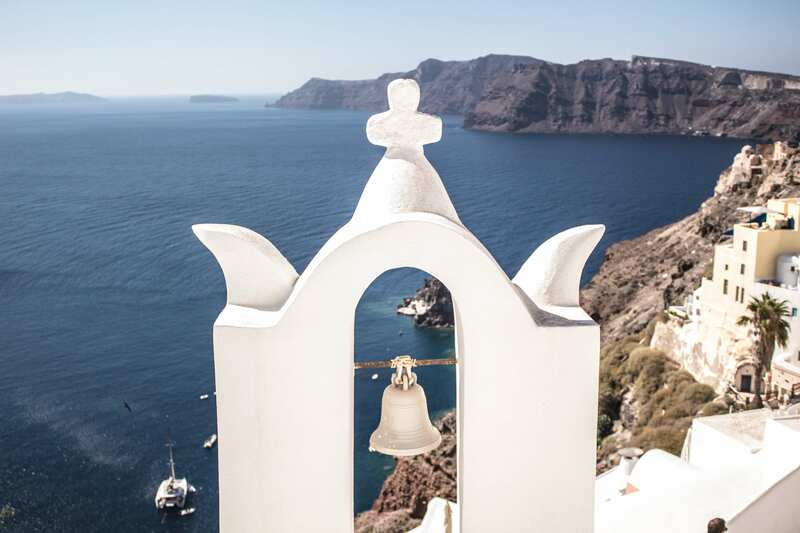 Also widen your search to include the areas between Fira and Oia like Imerovigli which also share stunning Caldera views. Don’t be discouraged if your budget doesn’t allow you to stay in one of the boutique hotels. 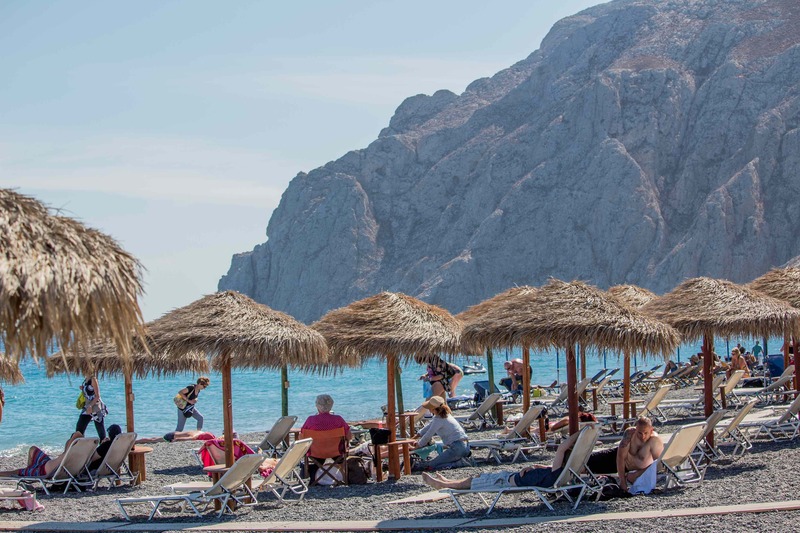 You can still enjoy the experience and the exact same views by enjoying a meal, snack, drinks, dessert at one of the hundreds of bars and restaurants that all share the same caldera views. Not the same as waking up to them but not a reason to scrap the whole idea of visiting the island. Super easy. We walked a lot because we are that kind of couple. 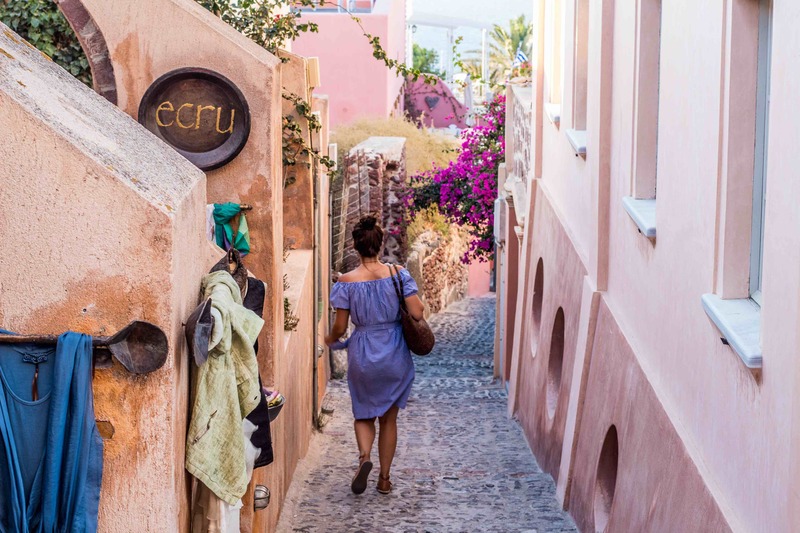 We like to walk around and explore every nook especially in Fira and Oia. You must!! You came all that way- so it’s a must! We stayed for 4 days and rented a car for only one day and got to see most of the island and almost everything on our list. One day with a car is great but ideally I would budget 2 days with a car if you want to explore the island more thoroughly. Prices are very reasonable and the roads are good and its not challenging at all to drive on the island. There is the option of renting ATV’s. We thought about it cause it is cheaper and looked kind of fun but getting around is slower and it’s very windy and we would have frozen on the evening drives! But that is just us. Maybe we are too old for that! You can also get around just fine on bus. It’s super cheap and pretty reliable. We took buses to Oia and also to and from the airport. They are much more reliable than what I’m use to on the island I live on but if your coming from somewhere with very efficient public transportation- be patient and chill. They are a bit on island time here too! They can get a bit crowded but if you are on a budget it’s a great option! 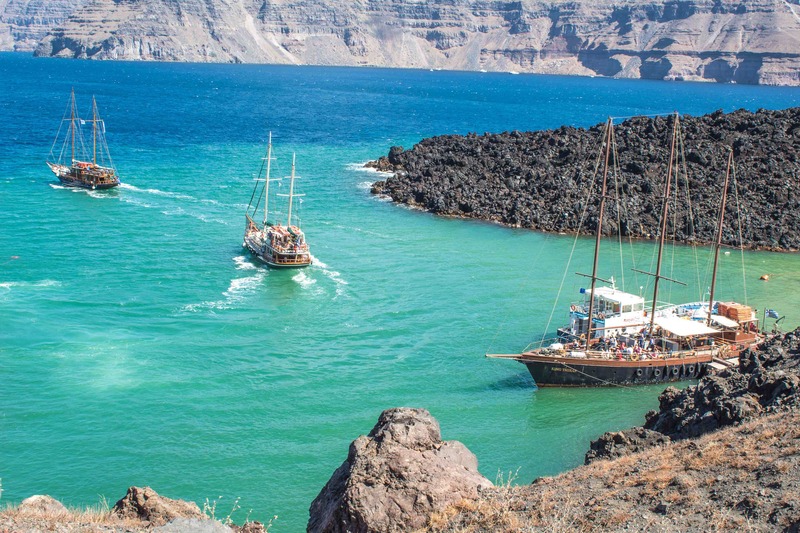 Apart from the obvious of getting lost in Fira and Oia and catching sunsets there is so much to do! You must try to see all the different beaches on the island. 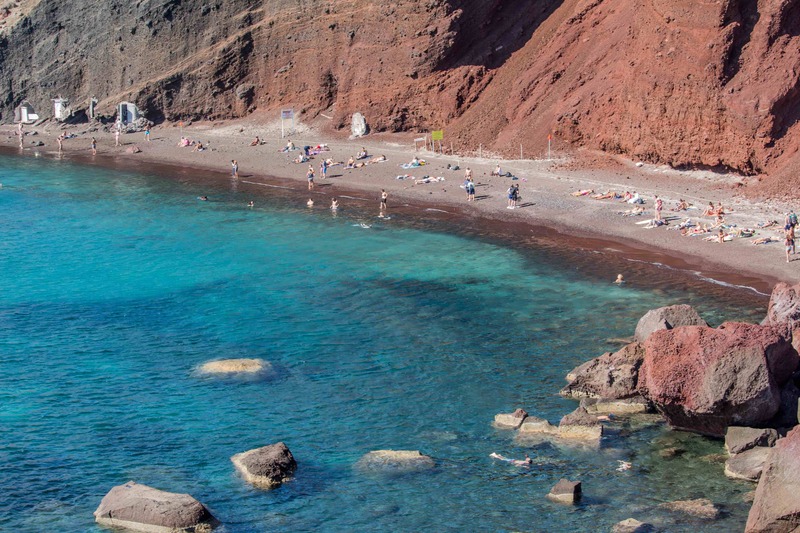 Black sand beach, red sand and white sand beach. All have their charms and are stunning! Try to do at least one excursion. We chose the volcano walk and swim in the hot springs. We loved it! 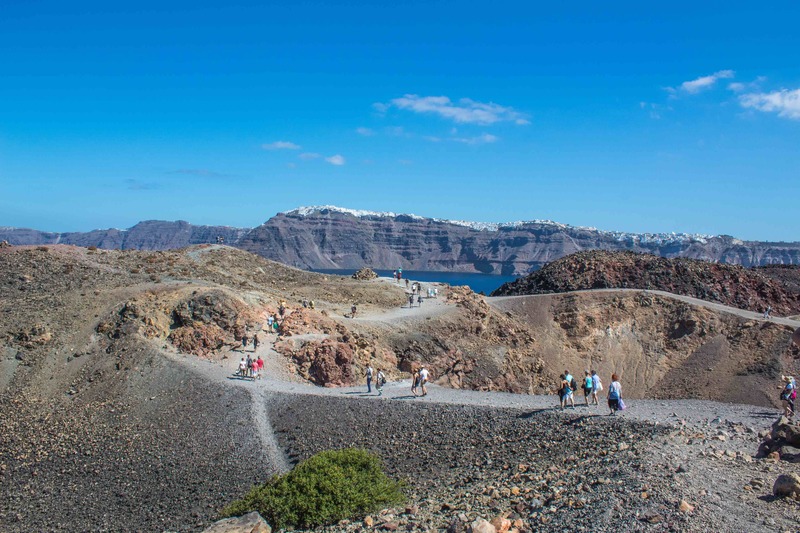 It was a long walk on the caldera and hot but it was great learning about the history of it and knowing about how all the islands surrounding it were formed and we enjoyed the views. It was like standing in the middle of all the islands. It was nice to see Santorini from the bottom too and the boat ride was pleasant and we really enjoyed the views along the way. 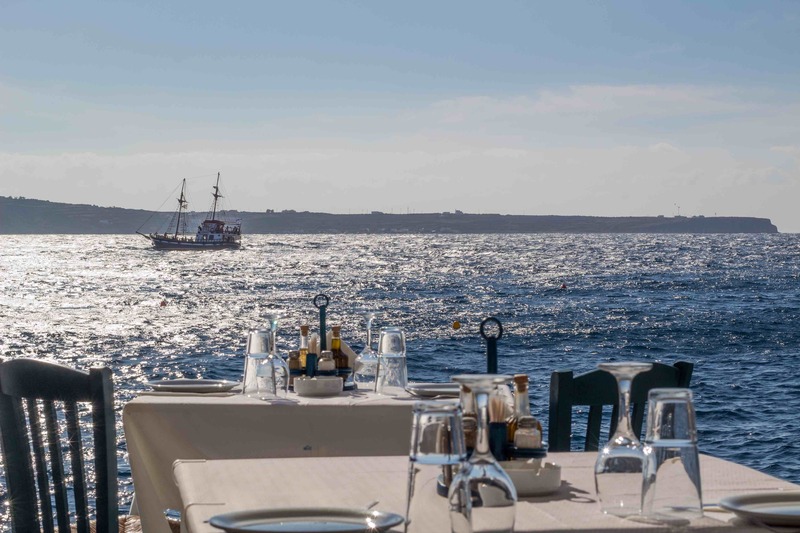 You must eat some freshly caught seafood at Amoudi bay!! 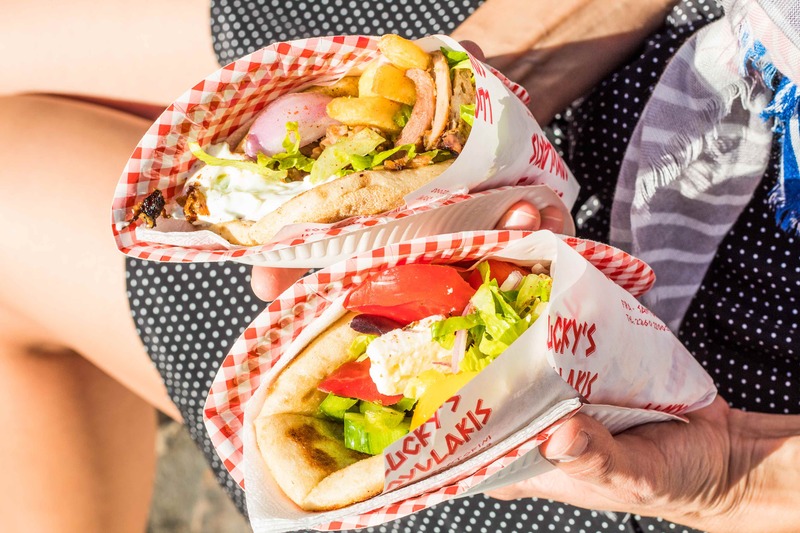 It’s beautiful and the food is delicious and it’s worth the trek wether you walk the over 300 steps or get a lift by a donkey (latter option has a fee attached to it). Eat, eat and eat! You must have the different foods that are unique to the island like fava a beautiful hummus-like dip. It’s absolutely mouthwatering!! 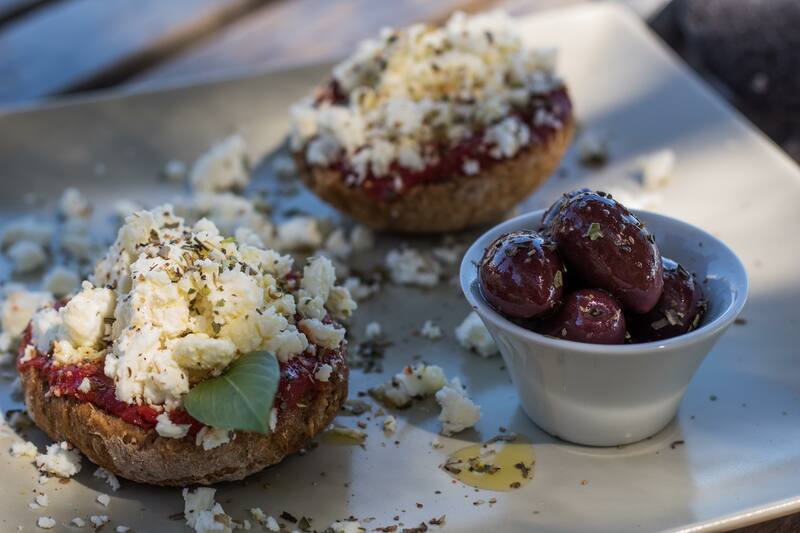 Definitely have some Dakos which is a meze or small plate (appetiser made of paximadia or rusks topped with a Santorini - made triple concentrated tomato paste, creamy feta and drizzled with EVOO). This is just to name a few. 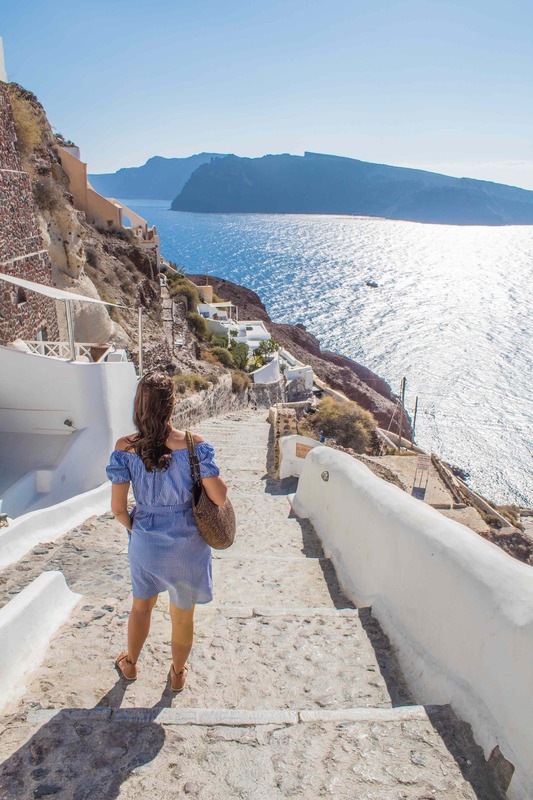 Definitely have some frozen Greek yoghurt drizzled with Santorini’s unique and wonderful tasting honey while you stroll through the streets of Fira or Oia. Try the island’s refreshing cactus drinks and cocktails — you will pay a pretty penny but your on vacay and it’s worth the splurge and trying something new! 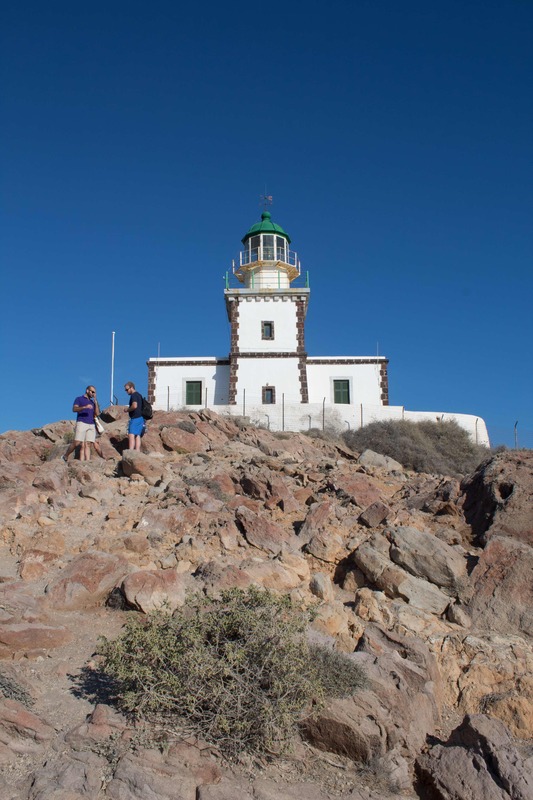 Another view worth seeing on the island is the view from Akrotiri light house. It’s at the far end of the island on the same side of the island as red and white sand beaches and the views are stunning from all angles. 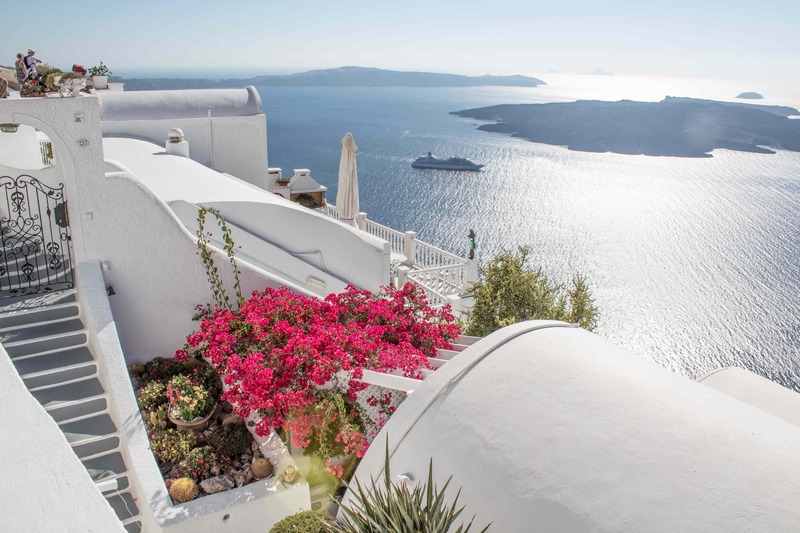 You can see the white speckled Fira and Oia in the distance and stunning coastal and cliff views! 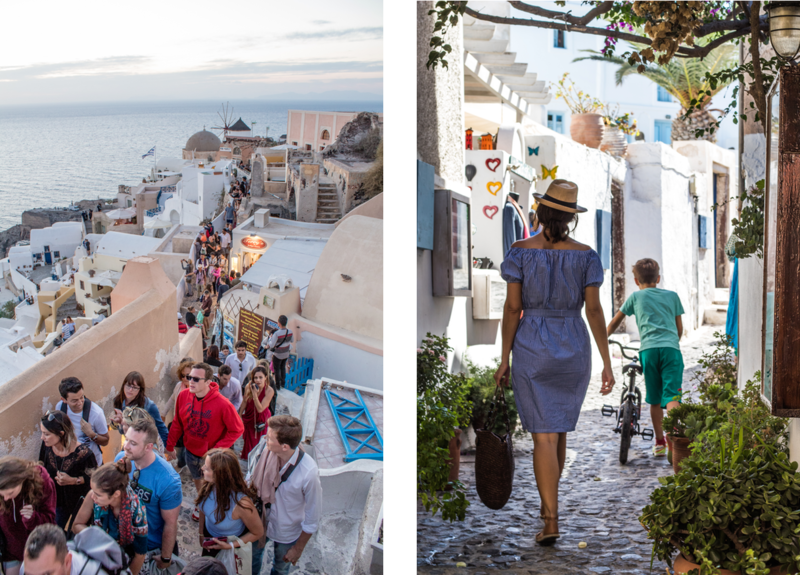 The walk or hike from Fira to Oia or vice versa is one thing. We planned on doing it but ran out of time. The views are beautiful I heard and are worth the 2 hour plus trek. We didn’t get to see the Akrotiri archeological museum or the ancient Minoan city of Akrotiri an excavated site that had been preserved by volcanic ash. 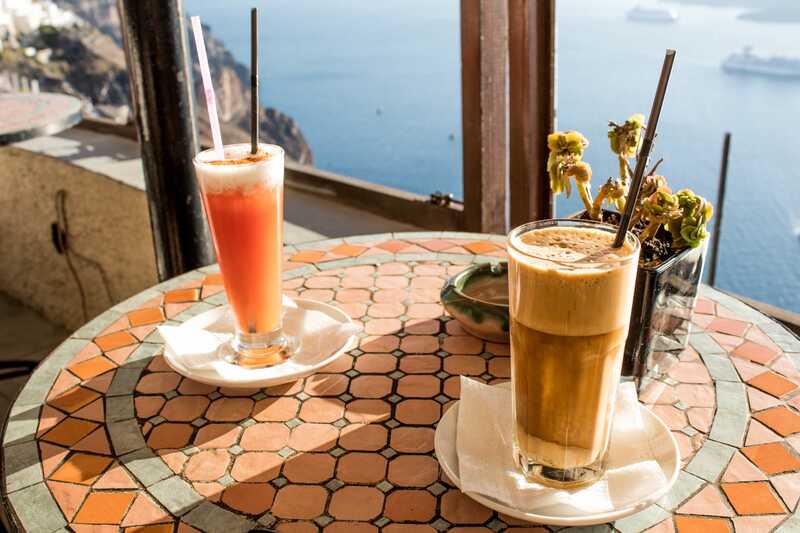 We would definitely visit more wineries, the tomato industrial museum featuring the history of Santorini’s famous highly concentrated cherry tomato turned paste. I loved the paste I tasted while there and the foodie in me was a bit disappointed that I didn’t get to cross that off my list. 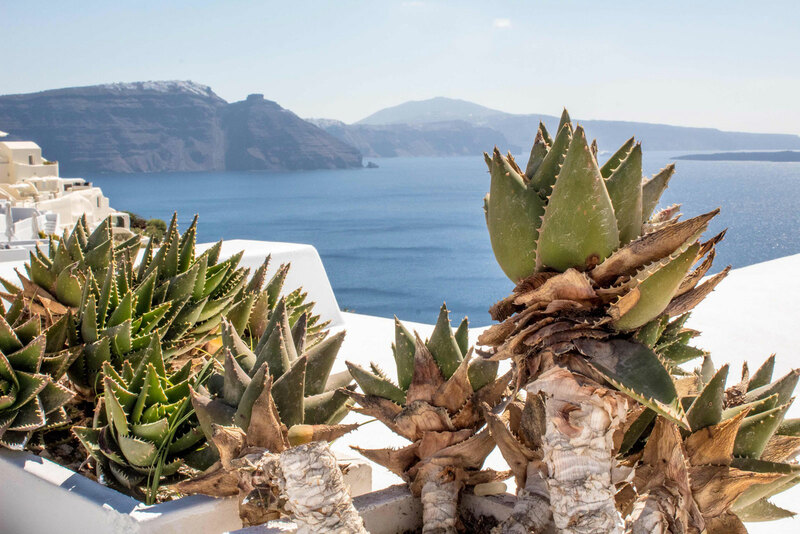 We loved staying at Caveland and would probably stay there again but we agreed that if we go again we would splurge on at least one night on a boutique hotel to wake up with that view of the Caldera. 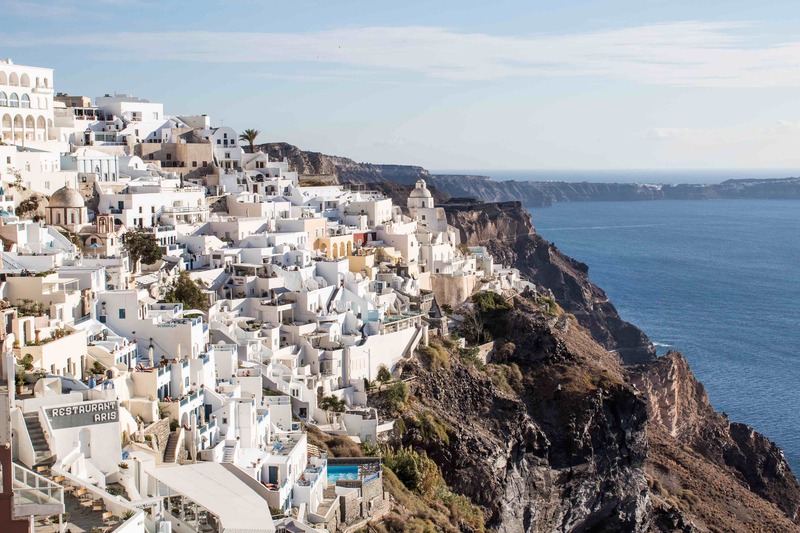 Is it enough to see Santorini once? Some may feel so but we would definitely go back in a second. In the meantime we have many pictures to remind us of its pristine beauty! !